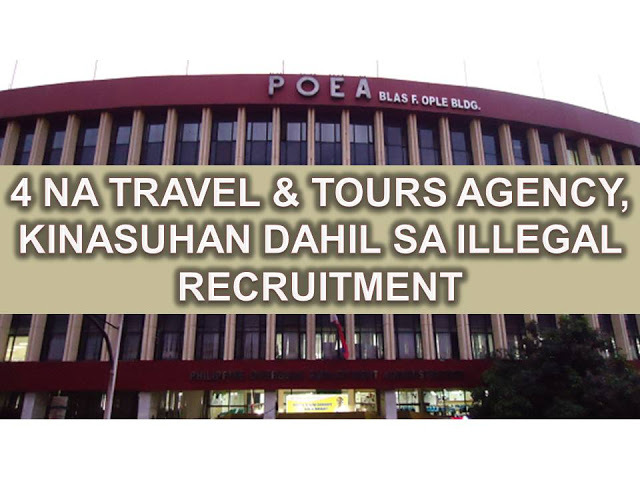 THE Department of Trade and Industry (DTI) has forged a partnership with the Overseas Workers Welfare Administration (OWWA) for entrepreneurship programs for Overseas Filipino Workers (OFW) especially those who were repatriated from the Middle East. Last September 6, 2016, OWWA Administrator Rebecca J. Calzado and DTI Undersecretary Zenaida C. Maglaya signed the Memorandum of Understanding (MOU) to implement joint projects for OFWs and their families who want to pursue entrepreneurial undertakings. Under the MOU, OWWA and DTI will jointly conduct developmental training under OWWA’s Enhanced Entrepreneurial Development Training (EEDT) and other related activities. Through the assistance of DTI, OFWs will have access to training and technical support in starting an enterprise, as well as opportunities to attend special events such as conferences, exhibitions, symposia, caravans, and other promotional activities initiated by DTI and the private sector. 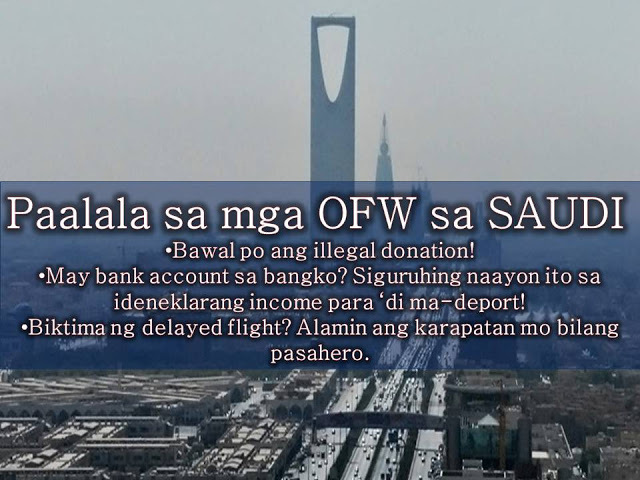 Those OFW who complete the EEDT may avail the loan amounting to P100,000 up to P2 million pesos under OFW-Enterprise Development and Loan Program (OFW-EDLP). This is in partnership with the LandBank of the Philippines and Development Bank of the Philippines. 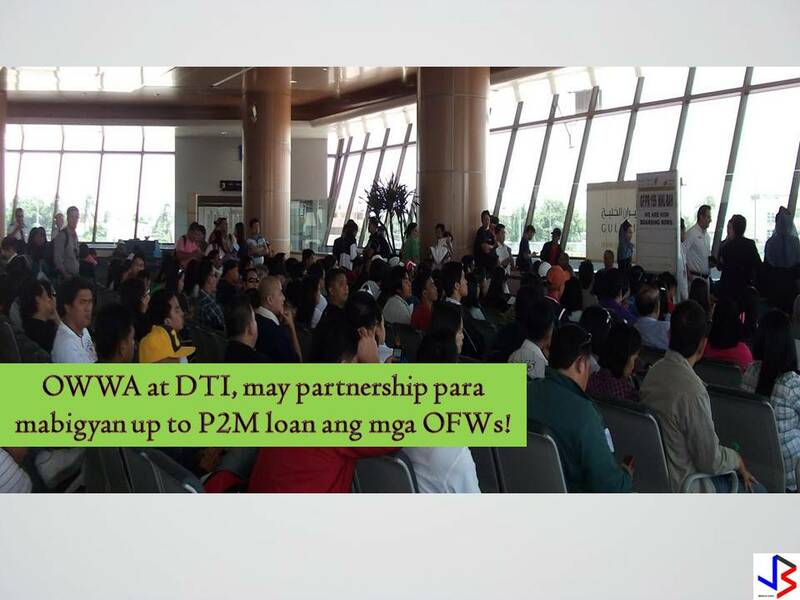 For those OFWs who wants to avail this program, just visit the nearest OWWA office near you for more information.